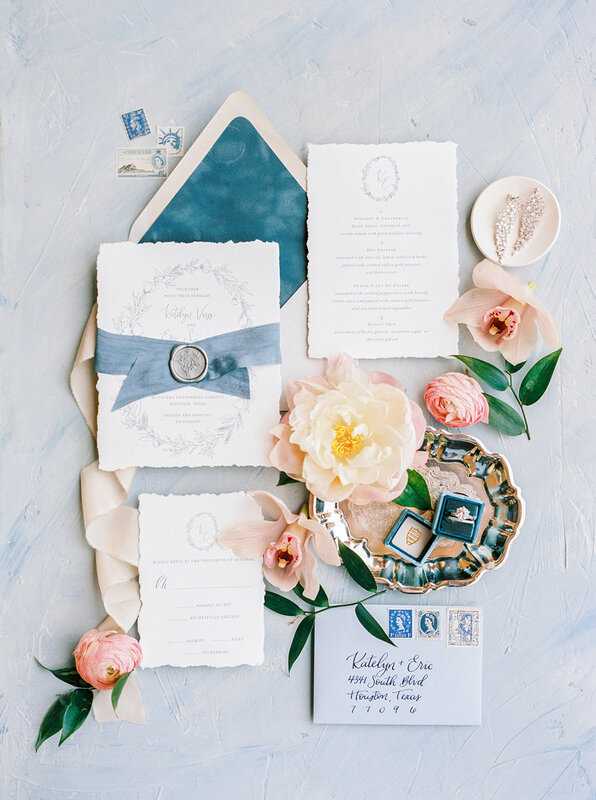 From weddings and birthdays to graduations and birth announcements, I believe all of life's special moments deserve an equally special invitation. I love bringing my client's visions to life, whether that's hand painting each invitation or creating custom fabric envelope liners. I've seen it all, and there's nothing I love more than collaborating on a project to make it better than you could have imagined. Take a look at some of my favorite projects below and e-mail me if you'd like to set up a consultation. I'd love to hear all about your event!